Are you a Masonic wife, partner, significant-other or girlfriend? Why won't my husband share Masonic secrets with me? Does Freemasonry make good men, better? Better at what? What really goes on in the closed lodge room? Why does he wear a white, leathern apron? Will he really have to ride a goat? Why did he buy his Masonic ring? Or...are you a Freemason whose spouse, significant-other or girlfriend has been asking you questions that you don't feel comfortable answering because you don't know if the information is secret? MEN...Has understanding Freemasonry become a source of arguments within your personal relationship? ...This E-book answers these questions... so you don't have to. WOMEN...Do you struggle to figure out if Freemasonry is good or bad? ...Read The REAL Questions People Ask About Freemasonry. Would you like to know what questions and concerns that other women have about Freemasonry? This E-Book contains 70 pages of actual questions which I have received from wives (girlfriends, significant-others, partners and a few Freemasons, themselves,) over the course of a year's time. Many wrote to ask about what their husband was "getting into" and what expectations they should have about their own role within Freemasonry. Some women were angry. Others were fearful, scared or hesitant. Still others had heard of the evils of Freemasonry and were skeptical, but they wrote anyway, because they needed to find out the truth. Men - A Freemason who has a wife, girlfriend, significant other or partner who needs answers about the fraternity which you have been uncomfortable or unsure if you could answer her questions and still keep your promise of secrecy. Women - If the man in your life is a Freemason or he has voiced an interest in joining the fraternity, you deserve a much better answer to your questions than "It's a secret! I promised not to tell." Ex-Wife - Anyone who is curious about an ex-wife's role within Freemasonry in the United States. Anyone (male or female) who is curious to know what questions women ask about Freemasonry. 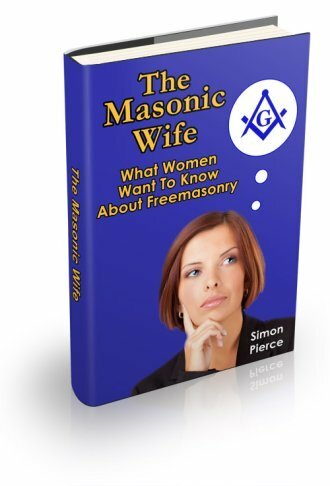 The Masonic Wife is a Question and Answer (Q & A) E-book that covers many of the most frequently asked questions that wives ask when their husbands become a Freemason (or are thinking about becoming a Freemason). Difficult Questions - Honest Answers - Some of these questions will raise your eyebrows. The answers in this E-book are based upon Freemasonry in the United States. In other countries, which are under different Masonic jurisdictions, there may be variations in protocols, rituals, symbols, symbol meanings and secrecy levels but, the intrinsic foundation (the basic precepts of Freemasonry) remain the same. Freemasonry in the United States is based upon the 2B1Ask1 system, whereupon a man must request to join the fraternity of his own free will. In many other countries, men must be invited to become a member. The Masonic Wife E-Book is offered in PDF format only. If you don't have a PDF reader you can download one for free from Adobe (or update your current copy). Click here to download your free copy of Adobe Reader. This E-Book is in PDF format only. No hard-bound book copies are available. TO ORDER, simply click the BUY NOW button below, to be reading your own copy of The Masonic Wife E-Book within minutes. You will download the e-book from E-Junkie.com, a well-known and well-respected website which has a secure payment server. -The Masonic Wife E-Book is backed by a 30-day, 100% money-back guarantee for PayPal account purchases only. If, for whatever reason, you don't find the information in this E-Book helpful to you, simply contact me within 30 days from the purchase date to request a refund. You must also include your transaction number (invoice number). Payment can be made with PayPal. Yes Simon, this is great! I've never seen the answers to a lot of my questions about Freemasonry anywhere, and I need to find this information all in one place. 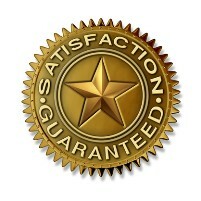 I understand I get instant access to download the E-Book, and that I get a 30-day money-back guarantee.